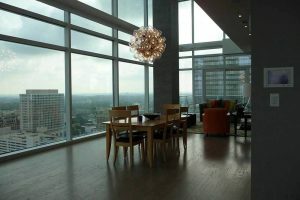 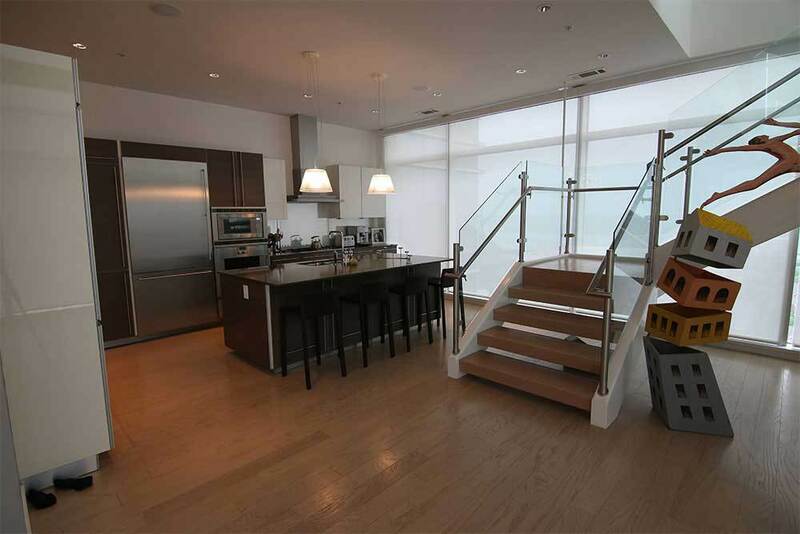 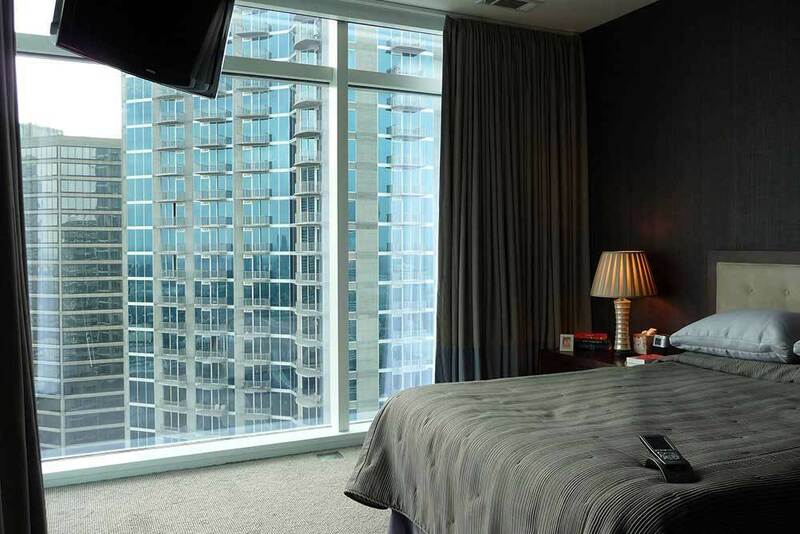 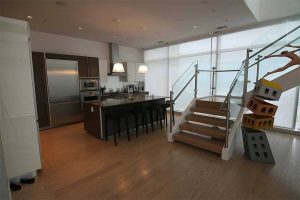 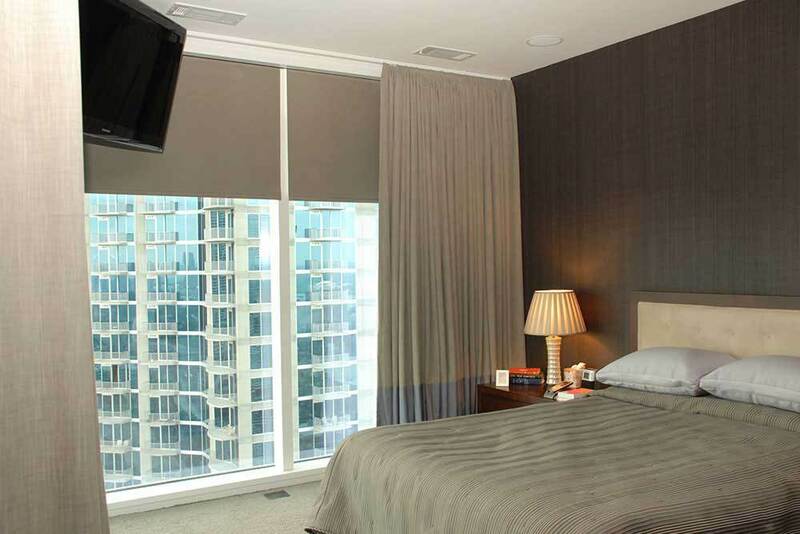 W properties are synonymous with high-end designs and comfort, and the Residences at W Downtown are no exception. 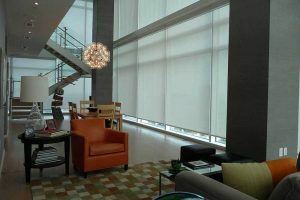 We wired the entire building and were chosen by the client to create completely automated spaces. 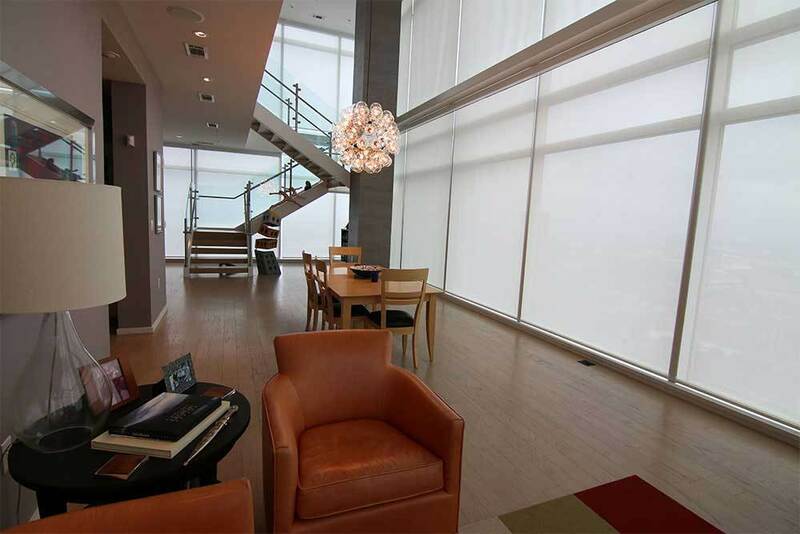 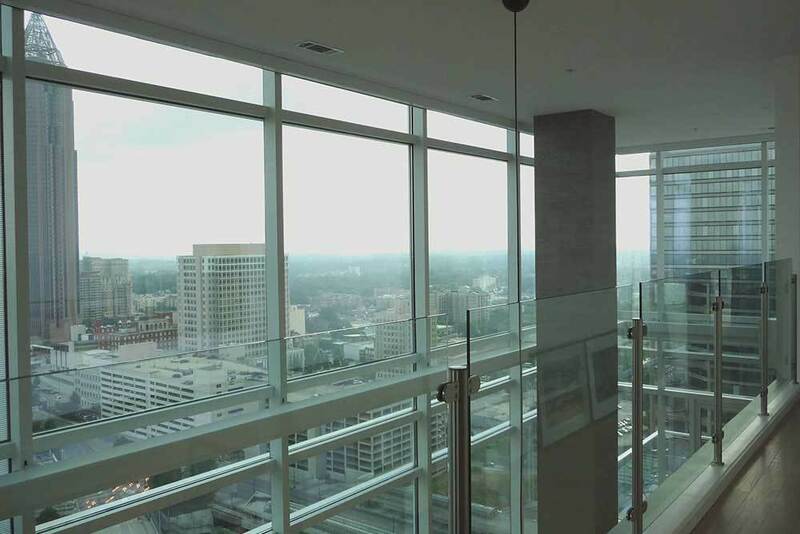 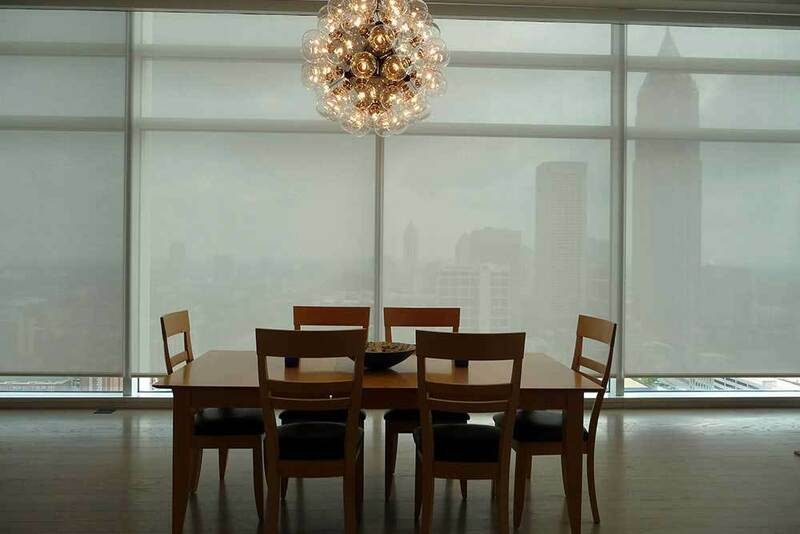 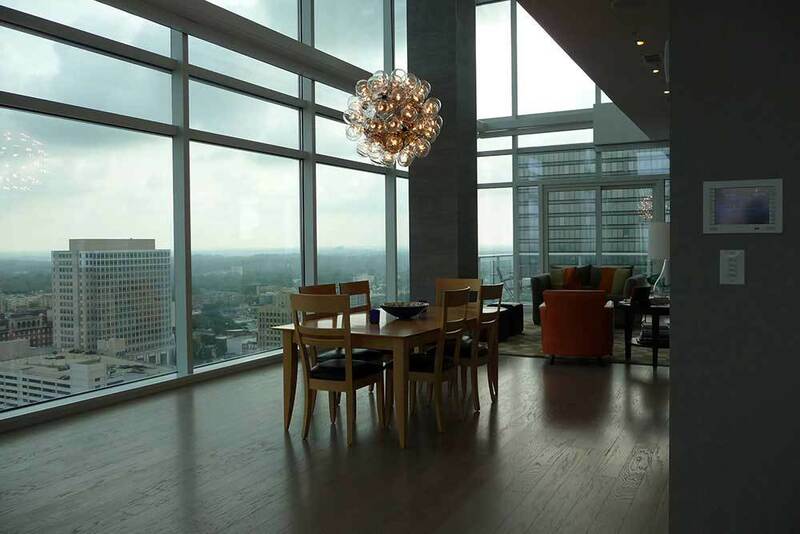 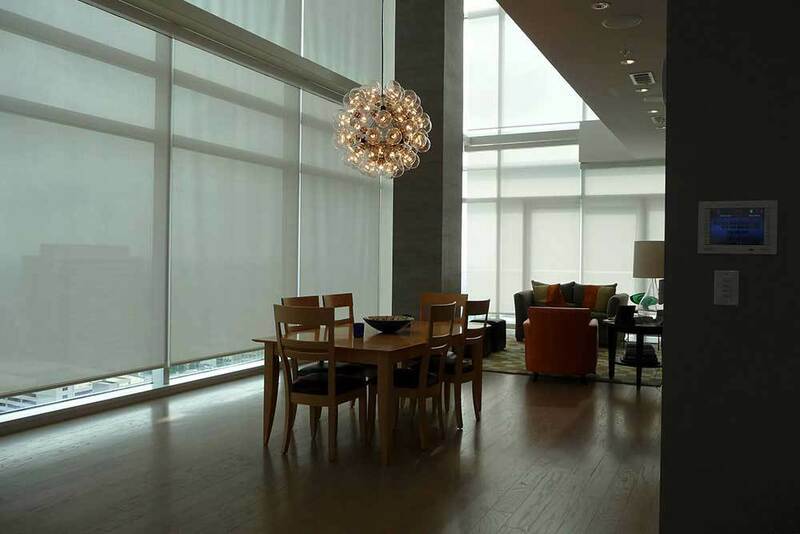 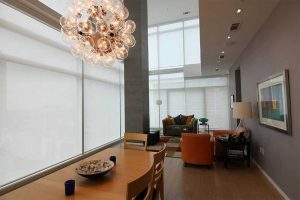 While two story ceilings 27 floors up may seem like a difficult installation, our team at Motion Shading has the required experience and expertise to get it done. 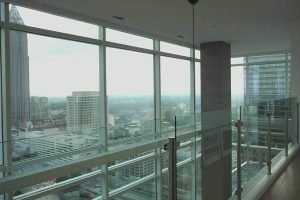 We prewired all locations and used scaffolding to install shades on all the windows. 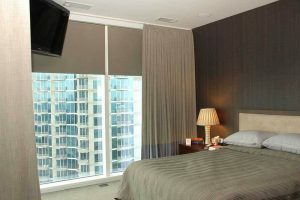 In addition, we installed drapery tracks with custom panels on the bedrooms.